Helping clients focus on what clients do best. Print On Demand (POD,) kitting, product samples, brochure and catalogue shipments may be marketing tools that help your business succeed, but managing these requirements efficiently and cost-effectively may not. Westminster fulfillment services help our clients focus on what they do best. 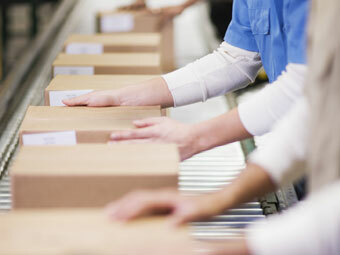 Our custom built proprietary ordering interface allows clients, sales reps and end customers to place orders, track shipments, manage inventory of collateral and build business rules around unique fulfillment criteria. Canadian and international shipping rates are negotiated annually based on our aggregate volumes and these savings are passed along to Westminster clients. When fulfillment stops interfering with what you do best, our brand succeeds in making your brand look better.